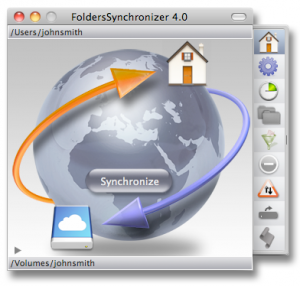 FoldersSynchronizer 4 Mac App Review: Grab It While It's Cheap! FoldersSynchronizer 4 Mac App Review: Grab It While It’s Cheap! 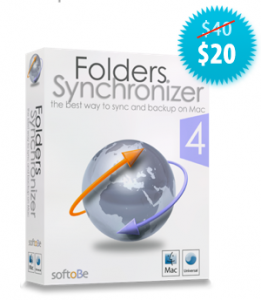 FoldersSynchronizer 4 is Mac App for OS X, developed by SoftoBe. Normally $40, you can now get this awesome utility for half off. And if you’re in need of a tool to synchronize and backup your files and disks, this is just the tool for the job! Lots of tools let you sync and backup your files. What sets FoldersSynchronizer apart from the rest of the pack is the ability to apply special options to your sessions. For example, you can set up a timer to automatically execute synchronizations and backup at the date/time you like (or set it for regular intervals.) You can also launch your own AppleScripts, making this a tool that’s ideal for true Mac wizards who like to customize their experience. 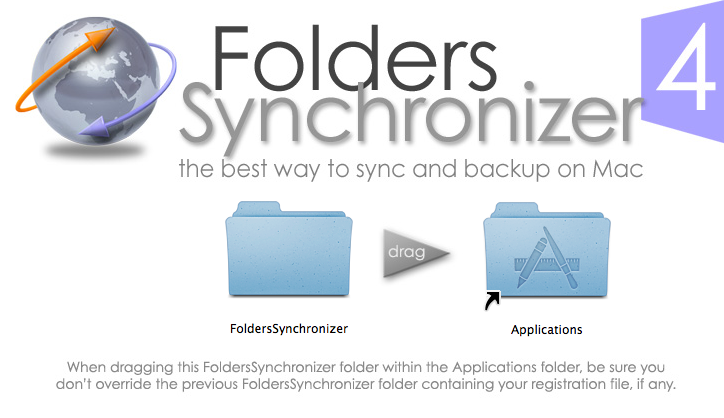 Another big perk with FoldersSynchronizer is the ability to automatically filter the files and folders from your dupes. You can set up filters by file name, file size, or creation date. Need to keep a record of your syncs and backups? You can send a log file to a custom email address, which is a nice touch. One thing that really struck me about FoldersSynchronizer was how simple it was to use. This powerful little app is quite small, and it’s easy to get your bearings. And while you might think that such a robust, feature-rich app would be hard to set up, that couldn’t be further from the truth. Just drag and drop the files into place, and you’re good to go. 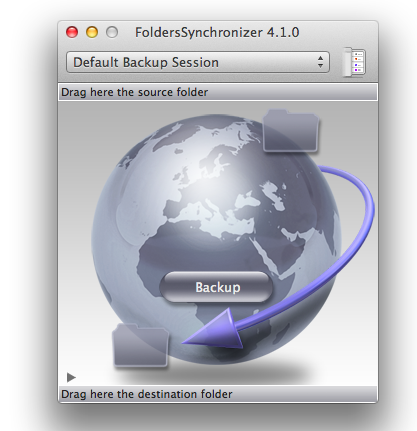 If you’re in need of a syncing or backup tool for your Mac, this is a killer option. It’s simple to use, yet positively jam-packed with features and customization tools. If I were you, I’d grab a copy now. 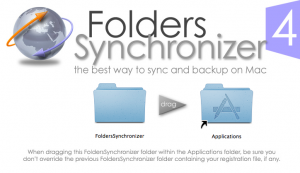 FoldersSynchronizer 4is also available asliteversion and asbackground-hiddenversion. 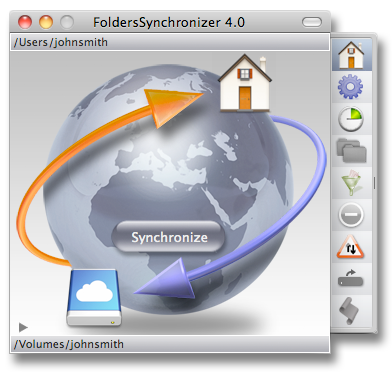 FoldersSynchronizer has been successfully tested on computers running Mac OS X 10.7 and 10.8.